We live in Southern California, which means that we tend to focus much more on our heating systems than our air conditioning systems. When we run into problems with our furnace, it doesn’t tend to hit us as hard as it might back east, which can lead homeowners to sit on a furnace problem when it arises. This is invariably a mistake. The sooner one deals with a furnace problem, the better, and while we only have a few weeks of cool weather left in the season, getting an issue addressed by a professional quickly can save you a lot of money and heartache. Strange Noises, which can include anything that doesn’t match the normal noises you’re accustomed to hearing from your furnace when it runs. In most cases, the noises will start and stop in time with the starting and the stopping of the furnace. Cool Air. Cool air or air that isn’t as warm as you expect is a sign of a big problem: anything from a clogged burner to a problem with the gas line. It’s a problem because it forces your furnace to work harder than it should to do its job, and raises both monthly bills and the strain on the rest of the system. Low Air Flow. Problems with the fan motor can reduce the flow of air through the system, as can blockages and clogged filters. It’s a problem for the same reasons that a lack of hot air is a problem — reduced efficiency and higher bills — while often leaving hot air trapped in the system. That can cause individual components in the system to overheat and cause a shutdown in some cases. Higher Bills. Sometimes, there doesn’t need to be a specific problem with your heating system to merit a repair call. It can simply be an unexpected spike in your monthly bills when you haven’t used the furnace any more often than normal. Once you spot these signs, it’s best not to linger on them. Shut off the system and call in a repair technician. If possible, refrain from using the system until it’s looked at (though you shouldn’t compromise your health and safety). Getting repairs done sooner usually costs less, since the damage hasn’t had as much time to spread, and while spring weather arrives sooner every year, we still have a few more cold nights ahead of us where a functioning heater is a good idea. 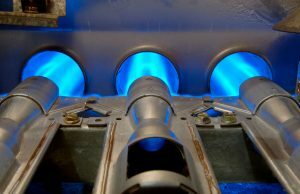 For quality furnace repairs throughout Pasadena, CA, call on Greenleaf Heating & Cooling today!